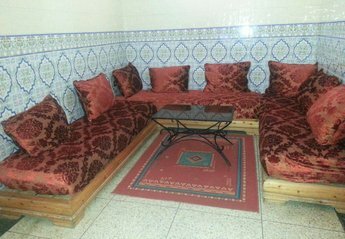 Found 25 holiday rentals in Marrakech/Essaouira. 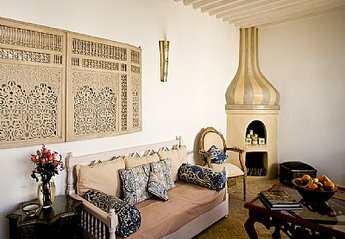 Moroccan charm and European comfort combine in this well appointed 3 bedroom house in the heart of the medina. A fabulous,comfortable and spacious Moroccan house, renovated in a modernist style.Sleeps 8.includes 2 terraces, ensuite wetrooms & sea views. 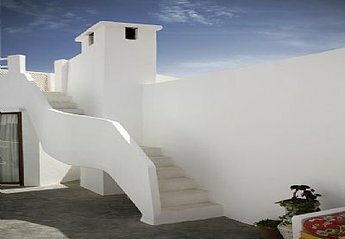 Beautiful 3 storey, 3 bedroom, 2 bathroom house with lovely sunny private terrace. 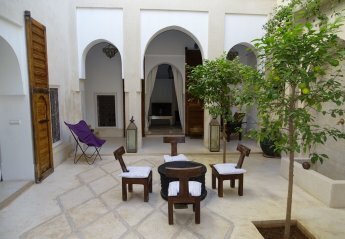 Beautifully renovated, fully equipped spacious riad with five en-suite bedrooms and three fabulous terraces. Prices shown for up to 8 people. Over 8, supplement of 10 pounds per person per night. 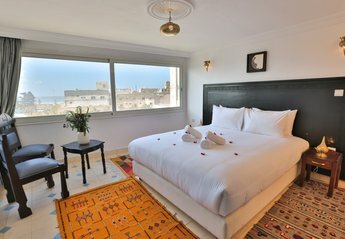 Riad Shaden is a traditional 6 bedroom riad in the medina of Marrakech, situated an easy 15 minute walk from the famous Place Djemaa al Fna and the souks. Our staff speak English, French and Spanish. 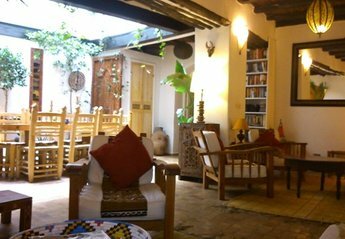 Riad Shaden is a traditional 6 bedroom riad in the medina of Marrakech, an easy 15 minute walk from Place Djemaa al Fna and the souks. Our staff speak English, French and Spanish. 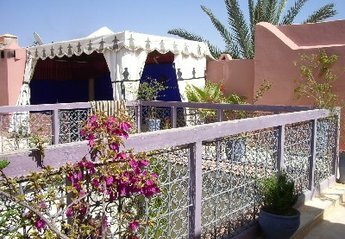 Riad Shaden is a traditional 6 bedroom riad in the medina of Marrakech, an easy 15 minute walk to Djemaa al Fna and the souks. Our staff speak English, French and Spanish. Marrakech luxury villa with pool - Set on the outskirts of Marrakech but just a 15-minute taxi ride from the bustle of the centre. 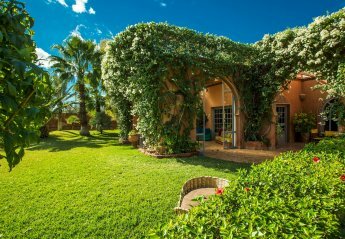 Marrakesh gardens villa – this delightful and spacious villa in the heart of Marrakech offers a heated pool, air conditioning throughout and a rooftop open-air living room. 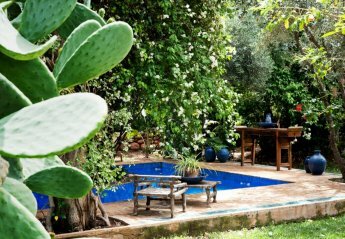 This lovely house is full of Moroccan charm, in an excellent location and available for your exclusive use. Plunge pool, large roof terrace, maid service and breakfast included. Just outside the capital Marrakech lies Dar Madani, an immaculately finished palace in the desert designed to satisfy those with the most discerning tastes, for whom only the finest luxury will do. 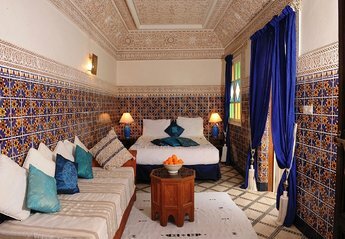 Luxury, calm and sensuousness, these are the hallmarks of this special place located at the edge of Marrakech's Palmeraie. Hidden by high cob walls. 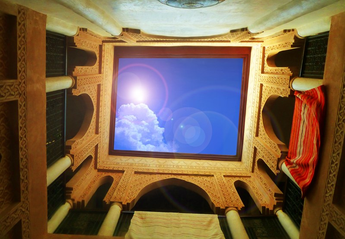 Wonderful Marrakech Riad, Morocco Magic! 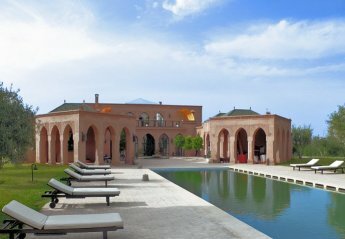 This 6 bedroom villa with swimming pool is located in Marrakech and sleeps 12 people. It has WiFi, parking nearby and air conditioning. Villa ALAAMA of 340 m2 has 4 bedrooms and 4 bathrooms can comfortably accommodate up to 9 people. 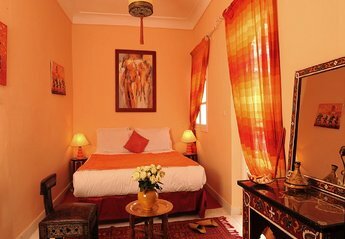 This 4 bedroom villa with swimming pool is located in Marrakech and sleeps 9 people. It has WiFi, parking nearby and air conditioning. 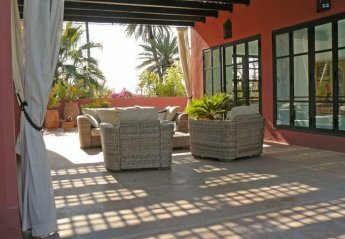 This 4 bedroom villa with swimming pool is located in Marrakech and sleeps 10 people. It has WiFi, garage and parking nearby. 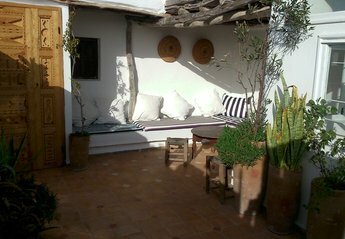 We found 25 holiday rentals in Marrakech/Essaouira.